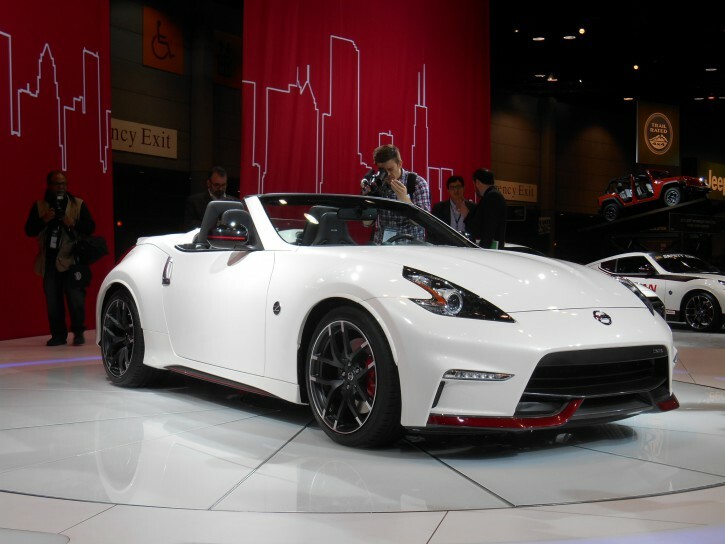 Nissan unveiled a “factory tuned” version of its 370Z Roadster at the 2015 Chicago Auto Show. The 370Z NISMO Roadster Concept is only a one-off at this point, but it could easily be produced if favorable public reaction warrants. Like the 370Z NISMO Coupe that was introduced as a production vehicle for the 2009 model year, the NISMO Roadster Concept sports a laundry list of high-performance hardware and tuning. The goodies include lightweight 19-inch wheels on a specially tuned suspension, Recaro seats with grippy Ultrasuede inserts, special NISMO body pieces (including a unique front and rear fascia), and a 350-horsepower version of Nissan’s 3.7-liter V6. NISMO (short for Nissan Motorsports) is Nissan’s performance arm. The NISMO brand has been around for more than 30 years, but Nissan has only recently expanded its presence in the North American general-consumer market, with NISMO-branded versions of the 370Z, the sporty-compact Juke hatchback, and the GT-R supercar. Adding a drop-top version of the 370Z NISMO seems like a natural. Most sports-car fanatics are also wind-in-the-hair roadster aficionados, so there are sure to be a considerable number of hand-raisers who would crave the highest-performance 370Z in drop-top form. 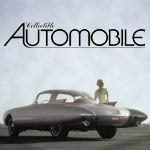 We wouldn’t be surprised at all to see this car get the green light for production in the near future. Written by: The Daily Drive staff on February 12, 2015.on April 6, 2018.